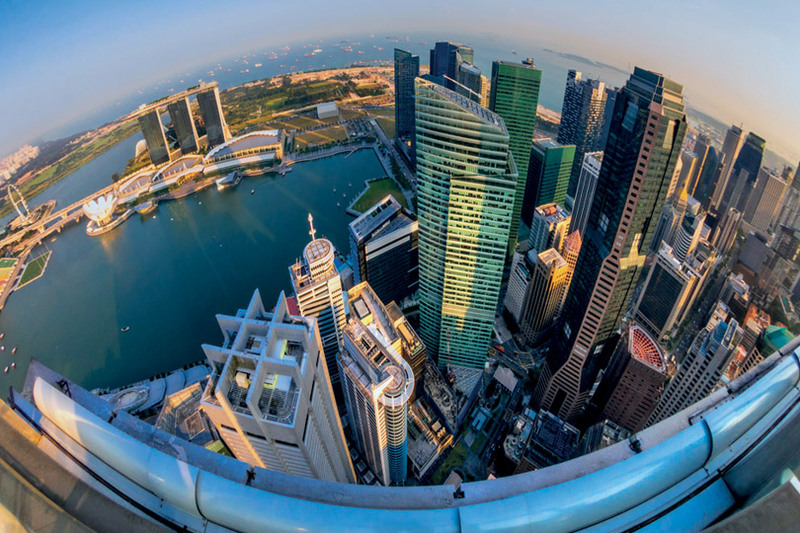 Across 50 years of independence, Singapore’s built environment has been constantly evolving, transforming from the backward shipping outpost of yesteryears into the thriving Asian metropolis of today. Through it all, Singapore’s building and construction industry has played a major part in shaping the landscape. Here, we look at how this important sector is shaping itself up for a new stage of growth based on increased productivity and innovation. In recent times, the global economy has seen great turbulence, owing to financial uncertainties in major economies such as the United States (US) and China. Being one of the most open economies in the world, Singapore has been somewhat affected too. In its October 2015 Macroeconomic Review, the Monetary Authority of Singapore (MAS) noted the local economy to expand at a modest pace for the rest of 2015 and 2016 as it navigates through a challenging external environment. MAS has forecasted Singapore to grow between 2 and 2.5 per cent in 2015, with the following years likely to see a similar growth trajectory. In its latest report, the MAS noted that as Singapore enters the next phase of its economic restructuring, it is crucial for growth to be driven by productivity upgrades. This is amidst a backdrop of tightening foreign worker inflows and a gradually ageing workforce. At the market level, construction demand from private property projects has seen a moderation from the heady heights that had been building up across a number of years. This has been a result of the government’s cooling measures, the ramping up of new public housing developments and the more cautious economic climate. For 2015, the Building and Construction Authority (BCA) estimated that construction demand from private sector developers would ease further from S$18 billion in 2014 to between S$11 billion and S$15 billion. In its place, public sector contracts have taken the limelight. In its 2015 estimate at the start of the year, the Building and Construction Authority (BCA) estimated that the construction sector is expected to secure contracts worth S$29 billion to S$36 billion. Increasingly, the focus is shifting to civil engineering and public infrastructure projects rather than private property. With the increase in major public infrastructure and developments on the horizon, the task of increasing construction worksite productivity and reducing reliance on foreign manpower has become even more pressing. In this, the Singapore government has been on the front foot for a good number of years now, pushing businesses in the building and construction sector to re-look at their business models and operational systems. For one, the government has been encouraging the adoption of new technologies and methods to boost productivity. One of the earliest technologies it has introduced is Building Information Modelling (BIM). BIM is a computer technology which allows a building’s performance to be simulated digitally, so that design conflicts can be collectively resolved upfront. This avoids costly reworking and wastage at later stages, saving time and effort. In November 2010, BCA formulated the BIM Roadmap to steer the industry towards wide adoption of Building Information Modelling (BIM) by 2015. This includes measures such as incentivising BIM early adopters, mandating BIM for regulatory approval of building designs, and building capacity and capability. So far, more than 80 per cent of the larger consultancy firms and 60 per cent of the larger contractors have adopted BIM. Two more strategies which the government has rolled out to boost sector wide productivity is the introduction of Prefabricated, Cross Laminated Timber (CLT) and Prefinished Volumetric Construction (PPVC) for use in local construction projects. CLT panel, while capable of bearing loads similar to that of concrete, are 80 per cent lighter. This allows for faster construction with less workers. Meanwhile, PPVC is a method of construction in which apartment and room sized volumetric units are fully fitted out and finished, before being transported to the construction to be installed into the building by stacking on top of one another. This method has the potential to achieve achieving up to 50 per cent manpower and time savings. So far, the government has thrown the full weight of its support behind PPVC, with plans to release more land to build integrated complexes where build components can be built in a factory setting. In fact, BCA hopes to have 10 such facilities operational by 2020. Speaking at the opening of SEF SpaceHub, which is the first Integrated Construction and Prefabrication Hub (ICPH) to be built on land obtained from the Building and Construction Authority (BCA), then Senior Minister of State for National Development Lee Yi Shyan noted that the level of prefabrication for building structural systems and wall systems has increased. Mr Lee also said that site productivity has improved at an average of 1.4 per cent over the past four years, with a 2 per cent improvement in 2014. Besides raising productivity, the BCA has also committed to the greening of Singapore’s buildings in a big way. In 2005, it introduced the BCA Green Mark Scheme as an initiative to drive Singapore's construction industry towards more environment-friendly buildings. The schemes looks to promote sustainability - promoting energy and water conservation - in buildings and raise environmental awareness among industry players throughout the building and construction cycle. Since 2006, BCA has launched three editions of the Green Building Masterplan. Amongst the early measures introduced was the introduction of a S$20 million Green Mark Incentive Scheme in 2006, an amendment to the Building Control Act to impose minimum standards for environmental sustainability in buildings and promoting research and development into green building technology. The second Masterplan in 2009 focused on the greening the large existing building stock, with the target for 80 per cent of the buildings in Singapore to be green by 2030. Most recently, the third Masterplan was launched in 2014. The focus this time round was getting building tenants and occupants to adopt energy usage changes, to reduce their overall energy consumption. In 2014, the Urban Redevelopment Authority (URA) released its 2014 Masterplan, which outlined many exciting developments that will create demand for the building and construction sector. With a view towards setting the stage for economic growth and more jobs, URA has developed a three-pronged strategy of sustaining the growth of the city centre with more office and retail space, building more commercial hubs outside the city centre to provide live-work-play options for residents, and developing new industrial clusters for specific industries. The URA is also looking to develop the North Coast Innovation Corridor, a new economic corridor that will be a hotbed of ideas and provide additional land for the expansion of enterprises. The corridor will stretch from the Woodlands Regional Centre across the future Seletar Regional Centre and a redeveloped Sembawang Shipyard area to the Punggol Creative Cluster. In a September 2014 blog post, Coordinating Minister for Infrastructure Khaw Boon Wan also shared that the Singapore government is contemplating the possibility of developing a master plan for underground spaces. He said that the purpose is to find out how practical underground plans can complement the above-ground master plan to make the city more exciting and liveable. Among the possibilities include underground transport hubs, pedestrian links to utility plants, storage and research facilities, industrial uses, and shopping areas.